Why buy later when you can buy now? Sony recently announced via Twitter it has rolled out pre-orders for a select few PS4 titles via the PlayStation Store. Hop on your PS3, pre-order Knack and Warframe today, then wait a few weeks and play them! Currently available to pre-order on the PS Store in North America and Europe, Knack and Warframe are two PS4 launch titles with healthy co-op modes that allow you to show off your shiny new system. 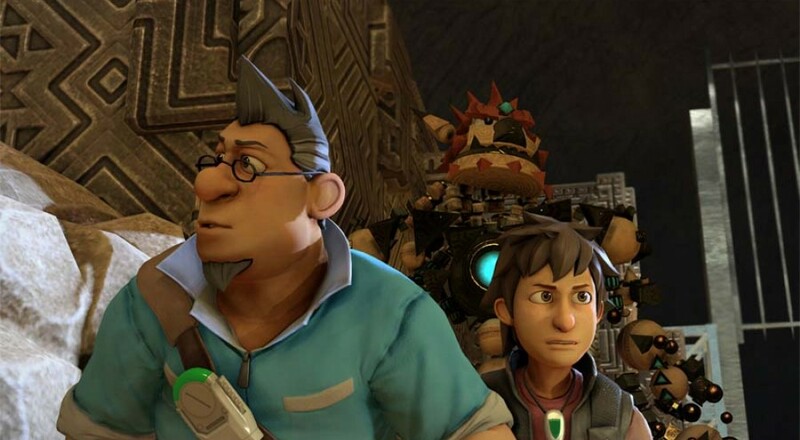 Japan Studios' Knack is an action adventure game starring the robot Knack in all his parts-filled gloriousness. Co-op is limited to two players locally, allowing one player to control Knack while the other controls a special silver version of Knack. Silver Knack supports Gold Knack by picking up parts from the battlefield and donating them to keep Knack's health topped up, making it an ideal situation for pairs of people where one isn't so video game savvy. Warframe can be summarized in three words: ninjas in space. Two words if we're being coy: space ninjas. The third person free-to-play action game deploys co-op mode in an unconventional fashion. Players each have both offensive and defensive powers, allowing them to work together to manipulate matter, heal partners, teleport squads around the map, etc. Wandering off on your own just doesn't cut it in Warframe. Warframe and Knack launch alongside the PS4 on November 15th in North America and November 29th in Europe.